In a brief encounter, a boy or girl with Williams syndrome “might seem like a parent’s dream,” said Ruth Padawer in The New York Times. Such children, after all, greet even new acquaintances with enthusiastic hugs and evince a boundless joy. But living without emotional boundaries is hard. 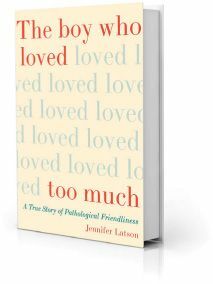 Journalist Jennifer Latson spent three years following a boy with the rare genetic disorder, watching the sometimes “heartbreaking” effects of his gregariousness, and the strain that they caused his single mother. Latson’s account, though sometimes “more dutiful than necessary,” brims with insights into the role of genes in social behavior and teases out the paradoxes of a disorder that produces an isolating supergenerosity of spirit. Eli D’Angelo is 12 when we meet him, and beginning to faces the challenges of puberty, said Mike Snyder in the Houston Chronicle. “One of the book’s most powerful scenes,” though, takes us back to his infancy, when his mother, Gayle, realizes that he has Williams and is destined for a difficult future. The syndrome is associated, she learns, with moderate intellectual disability and a number of health problems. But Gayle adapts to her new reality and emerges as a vivid character in her own right—“fiercely protective, stubborn, unconventional, resourceful, and tough.” She’s also “enormously self-sacrificing,” and much of the story becomes about her efforts to usher Eli toward independence while learning to grant herself some of the same.